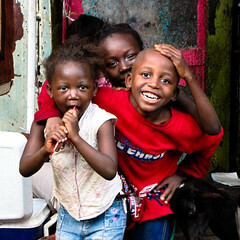 There's no accurate census information available, but it's generally estimated that 60% of the people in Sierra Leone are muslim, though it's likely to be less in the coastal areas, where much of the population originally consisted of former slaves returning from oversees, Krios, almost all of them being Christian. At the same time, the Christian religion in Sierra Leone is heavily fragmented, with, besides the more common denominations, a host of smaller splinter groups making up the religious landscape. My favorite is probably The Flaming Bible Church. I mean, seriously? 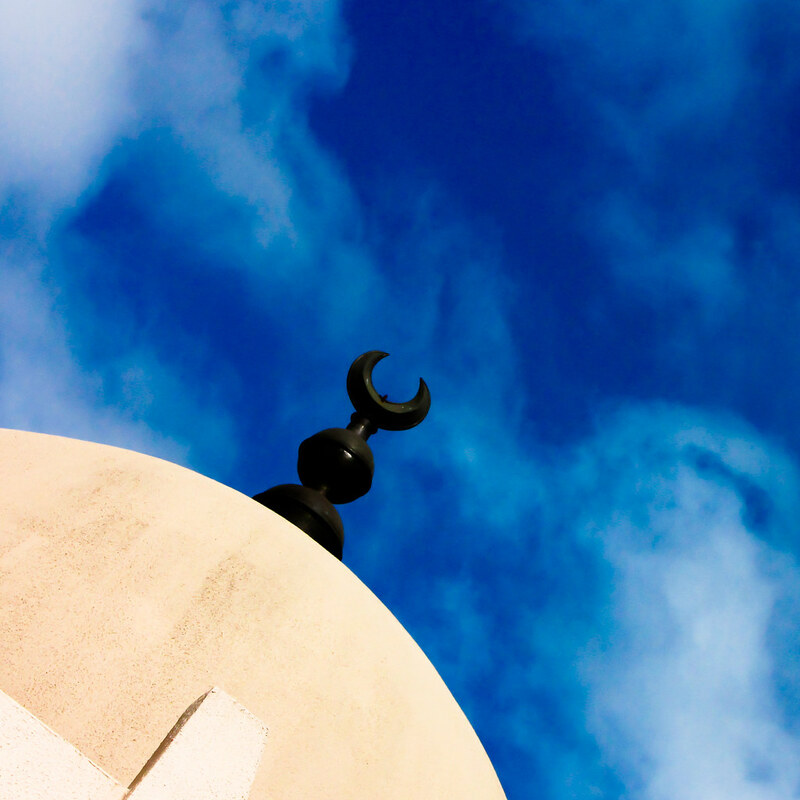 With Islam not as much fragmented, except perhaps into the few common streams, it's Islam which is often the more prominently visible religion in the country. There are plenty of buildings operating as churches, but the mosques are just a tad more… present. 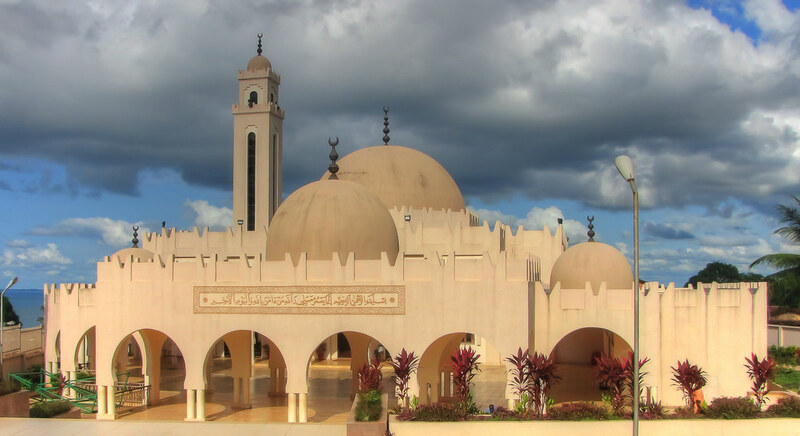 Up till recently, Freetown's most prominent mosque was on the edge of of the peninsula in downtown Freetown. However, in the middle of last year, Europe's favorite dictator, Muammar al-Gaddafi, was responsible for opening the Freetown Central (even though it's way out of town) Mosque. Not too overwhelming, but probably also the largest mosque in the country. Information is scant, but it seems that the World Islamic Call Society which is headed by Gaddafi, sponsored the building of the mosque, as well as some associated facilities. The word on the street is that, besides the financial impetus, Gadaffi also donated a bunch of camels. When we visited the mosque on Saturday, it took us four hours to get there and back, while it's perhaps only 10 kilometers away, as the crow flies. We did not see any camels. Conteh at some point was the country's 400m sprint record holder. Perhaps, then, it shouldn't be too much of a surprise the man showed up at the Hash, running like a pro. Last week, I applied for a vacancy at UNICEF. Not only is their application procedure a huge pain, which requires the recruit to fill in form after form in an archaic, unfriendly, slow, and bordering on the counter intuitive, online environment, what's worse, which took me a while to realise, is that the system was designed for Internet Explorer for Windows, something which was confirmed in a subsequent email conversation with their IT department. The online environment does not mention this to its users, which is extremely bad form and, I'm sure, puts a sizable portion of their potential recruits off from trying to finalize an application. Though enough to get me on the road to a solution, I'm probably also more persistent than most, looking for a solution. One would think that an organization like UNICEF would have the resources available to develop an online system which is cross browser and cross platform compatible. Apparently, not so.